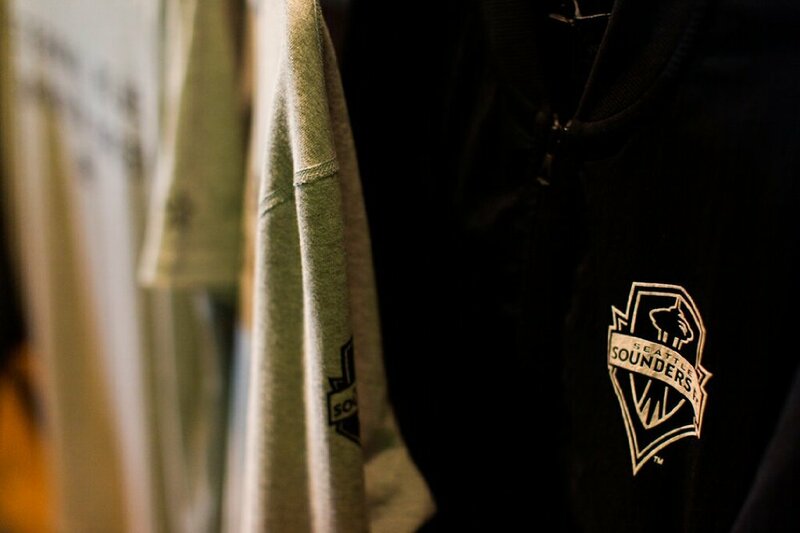 " Last Wednesday the Seattle Sounders and Reigning Champ dropped the highly touted/anticipated ‘Champions Pack’. 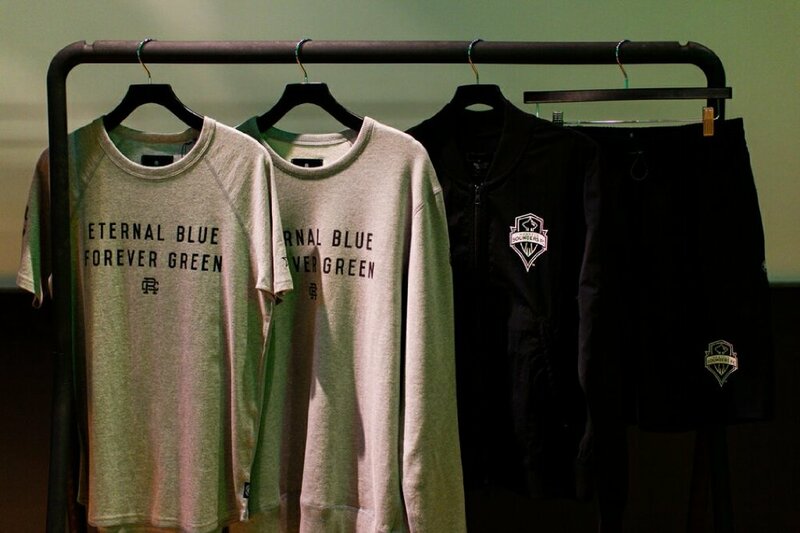 The collaboration pays homage to the Sounders and their 2016 MLS Cup winning campaign. To mark the occasion the Sounders hosted a launch party at The Ninety in Pioneer Square for fans, friends and media. 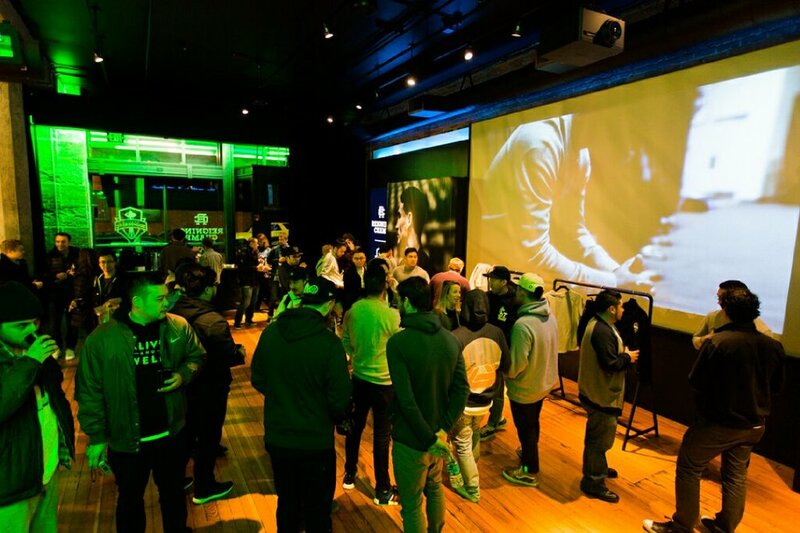 The soiree was built around the collection as a pop-up retail space was decorated with various large scale banners featuring promotional photos, while mannequins proudly displayed the line along side the very shiny and beautiful MLS Cup. 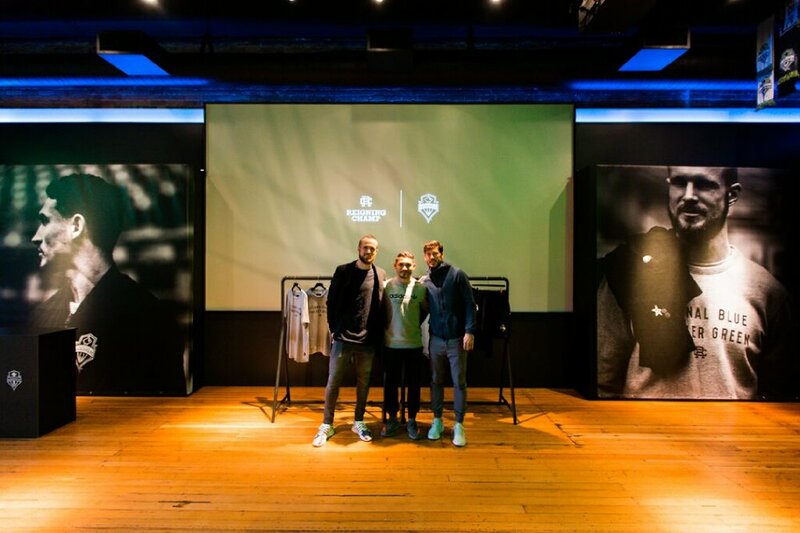 The three Sounders players which modeled the ‘Champions Pack’ were in attendance as well. Brad Evans, Sefan Frei and Christian Roldan all graciously mingled or posed for selfies with fans. Overall, the night was up to the lofty standers of all parties involved."